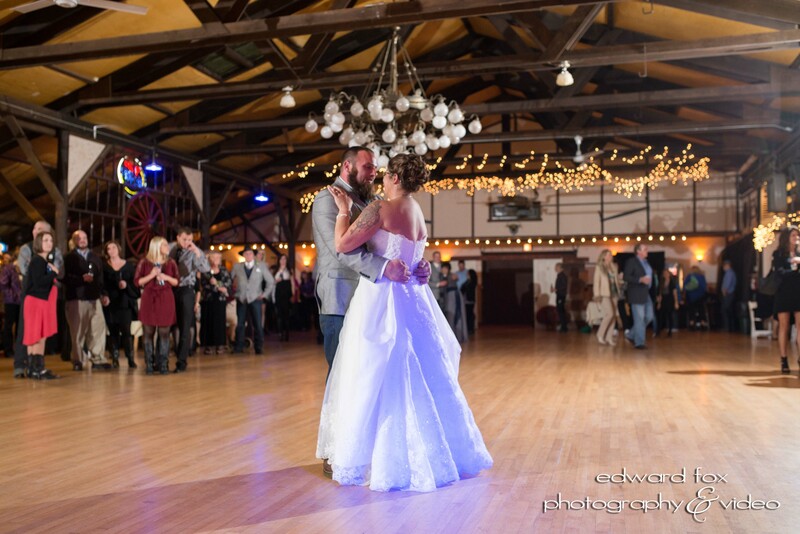 East Hall, most wedding parties use this for the dancing portion of the reception. Through the doors is the barroom. There are three bars in the Concord House. 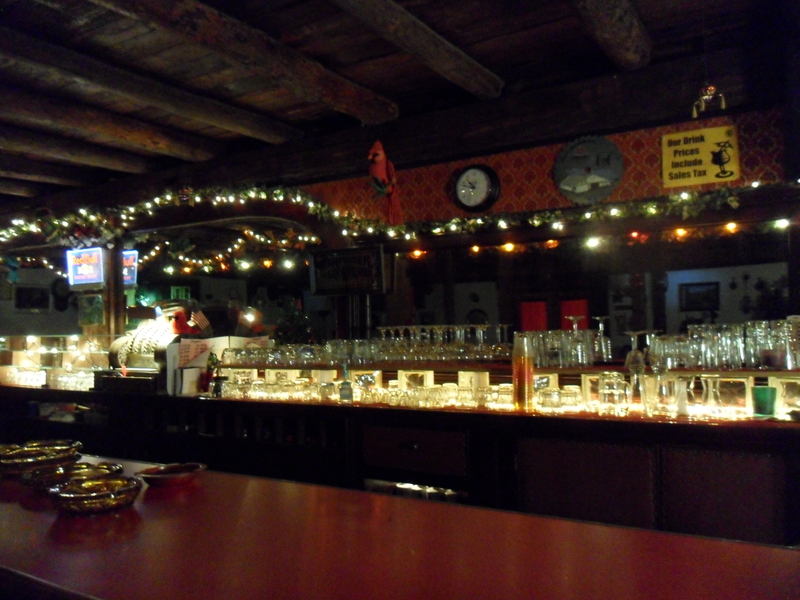 The barroom in the East Hall. Air conditioned and all mix drinks available here. Most weddings do a cash bar for mix drinks. 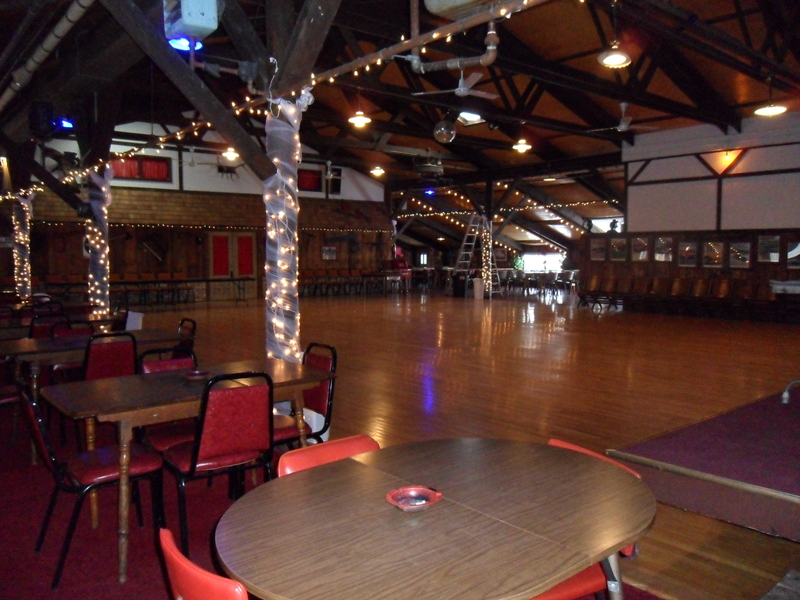 A side view of East Hall where dancing takes place. 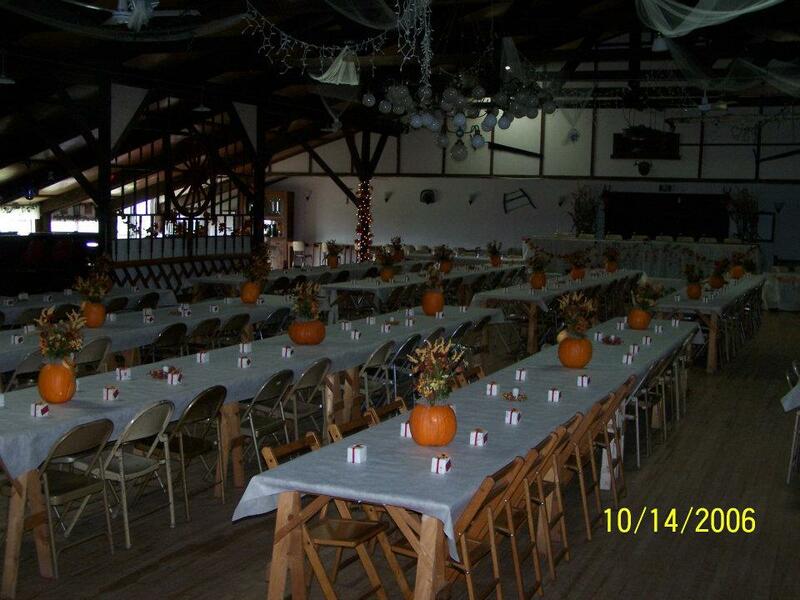 West Hall set up for a fall wedding theme. 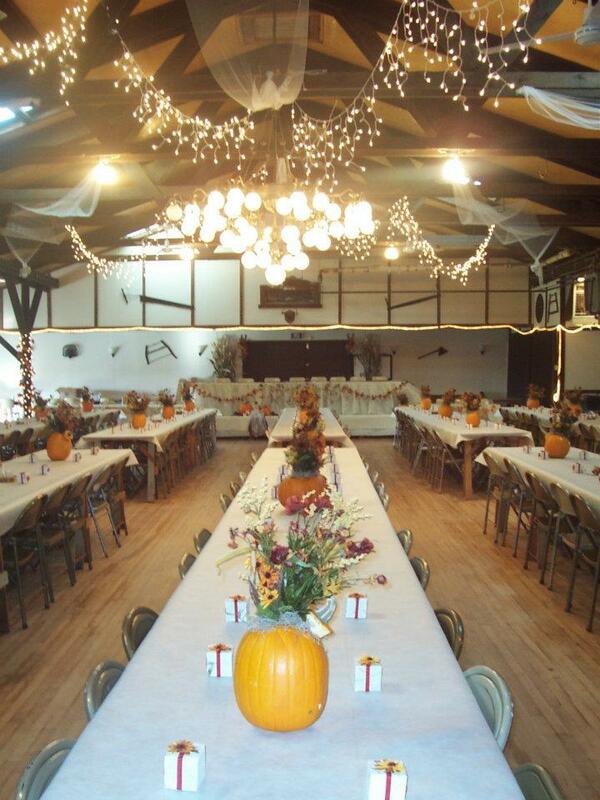 Most wedding parties do the dinner in the West Hall. West Hall set up for a fall wedding. The chandelier is permanently on the ceiling. 160 can be seated on the West Hall floor for dinner. 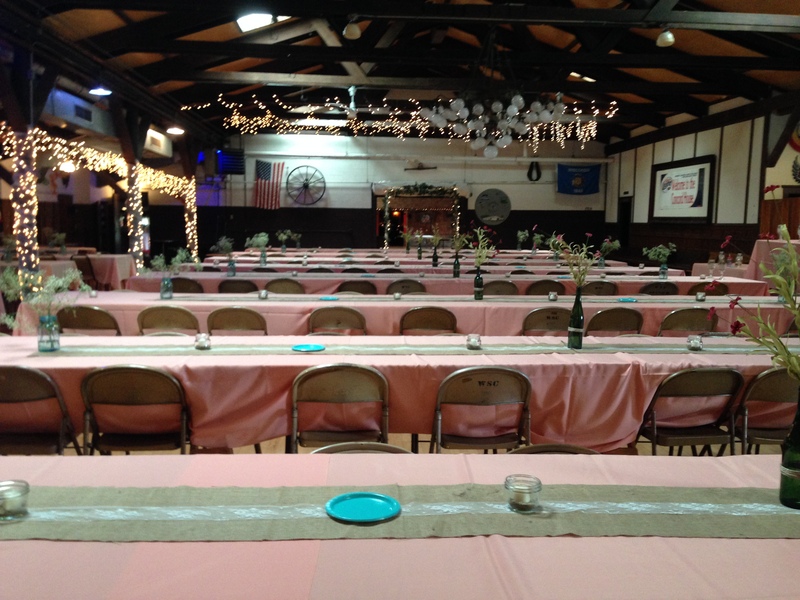 Here is a set up with 10 chairs per side, 20 per table. Two tables are pushed together end to end to form this. 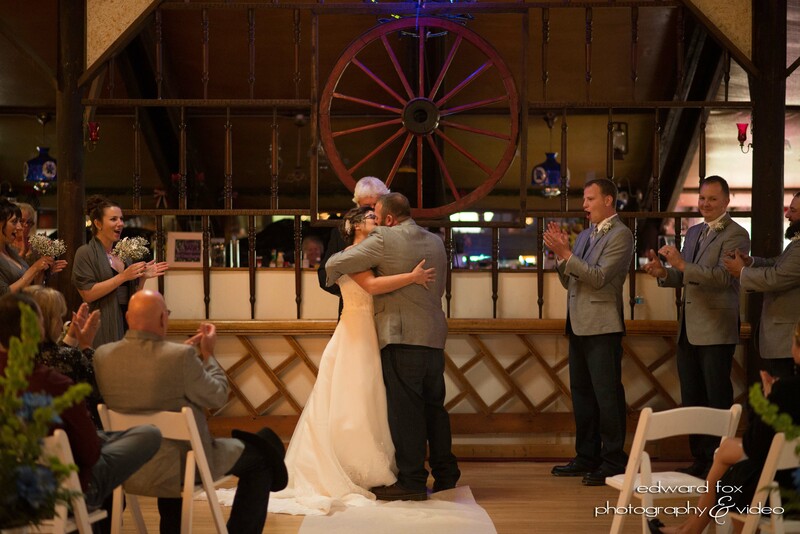 This is from a June 2014 wedding. Lights are up and part of Concord House decor. 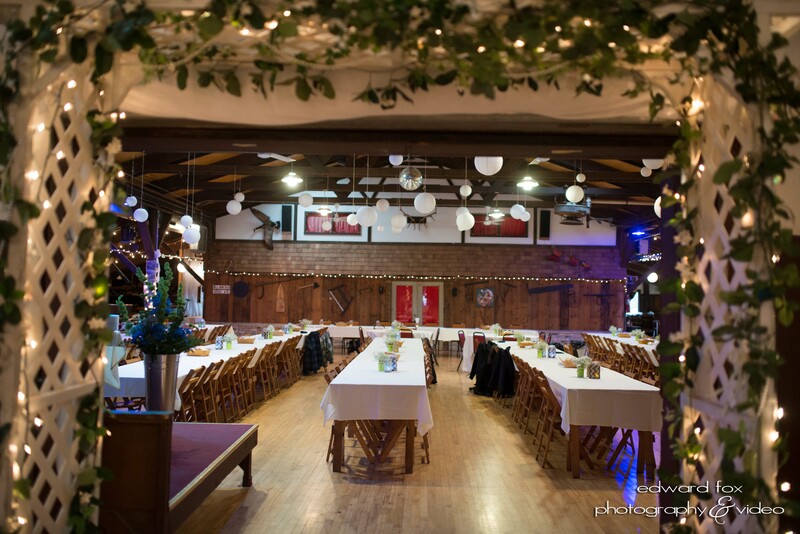 West Hall set up for a rustic wedding with the head table under the wagon wheel. 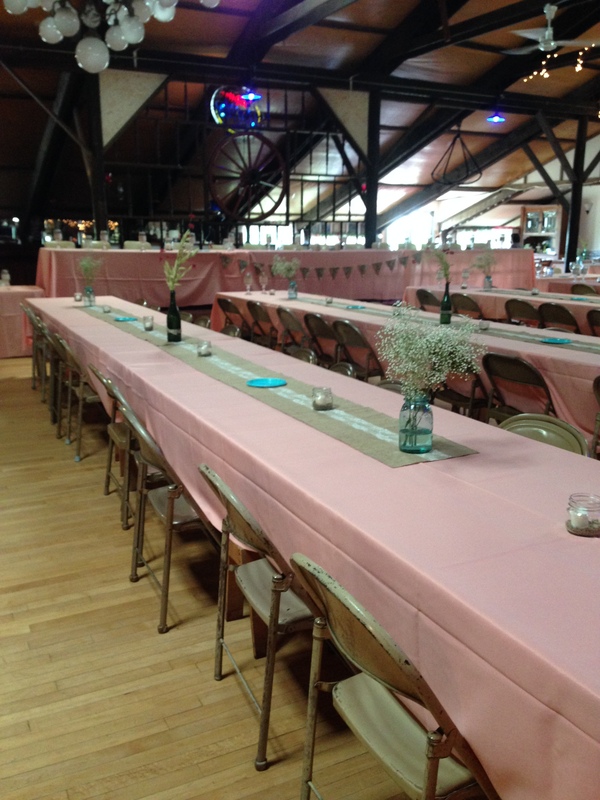 All tables and chairs are included with hall rental fees. 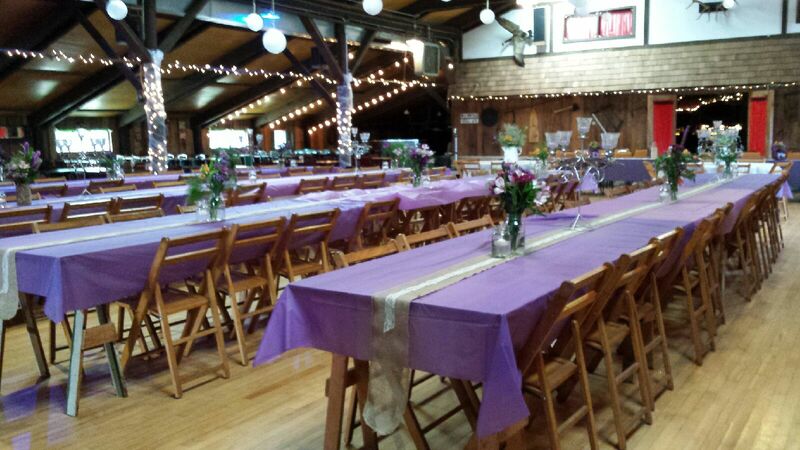 East Hall set up for a wedding dinner. 10 chairs on each side of the tables, 20 people at each table. Outdoor ceremony. 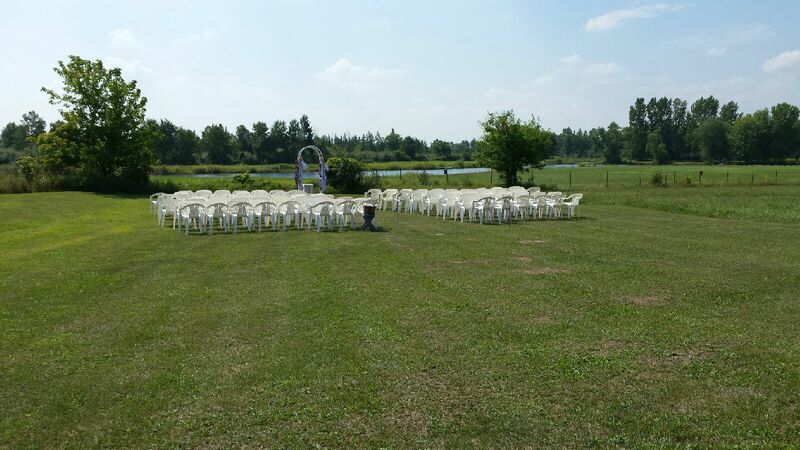 This is from an August 2014 wedding and there is a pond in the distance. 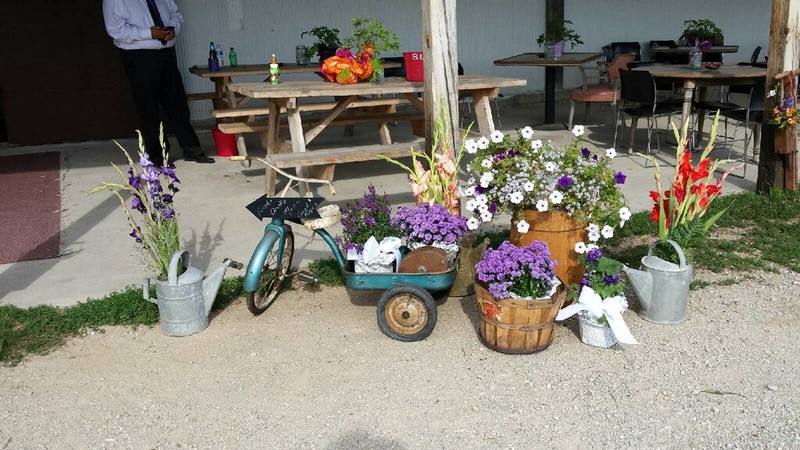 You are welcome to hold your ceremony at the Concord House but you must rent or bring your own chairs for an outdoor ceremony as the dinner table chairs cannot be moved outside.